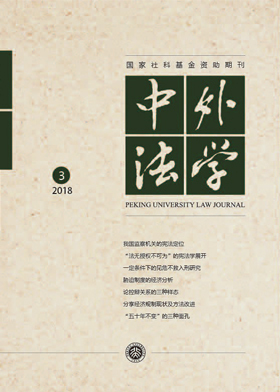 "Issues of Extraterritorial Arbitration in Non-Foreign-Related Disputes"
Abstract: As China further liberalises and marketises, a new type of dispute has emerged. This type of dispute is domestic and has no foreign-related elements, but is submitted for arbitration outside China. The orthodox standard for determining whether a dispute is foreign-related — The Theory of “Three Essentials of Legal Relations” — is too simplistic and rigid. The addition of "catch-all provisions" in the evolution of laws and regulations demonstrates that China normatively foresees cases with unorthodox foreign-related elements. Specifically on the determination of foreign-related elements in arbitration, existing arbitration laws and rules in China have not expressly precluded disputes without foreign-related elements to be submitted to arbitration outside China. Despite this, judicial practice and judicial rationality tends to dismiss the validity of such arbitrations. 2015 was a watershed moment for the judicial attitude towards the issue. At the end of 2015, the Shanghai Golden Landmark case removed the restrictions to determination method of foreign-related elements that has been in place for decades, a breakthrough in recognising unorthodox foreign-related elements. From the perspective of interactivity between law and economic development, the arbitration system in China needs to open up further in the context of the Belt and Road Initiative and Free Trade Zones development, and the breakthrough in recognising new forms of foreign-elements has great implications on Chinese arbitration market. Click here to download the paper in Chinese.